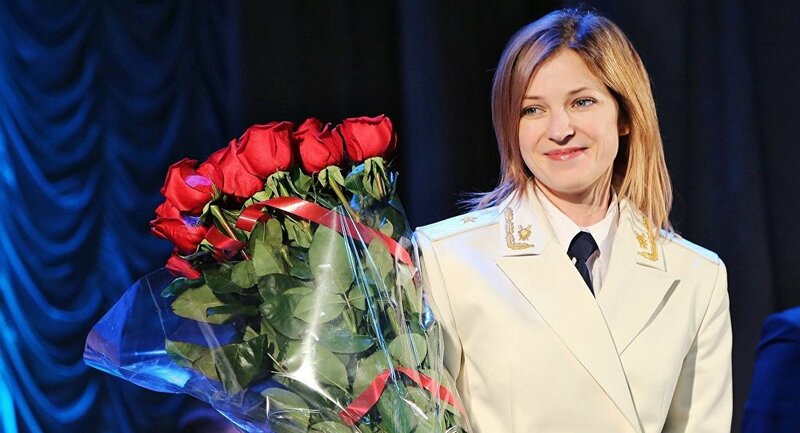 Two years after a referendum that cemented Crimea's reunification with Russia, Natalia Poklonskaya became the republic's prosecutor after the Kiev-appointed man defected, and became an iconic symbol of a new Crimea in a turbulent time. Now she shares her story and reveals what has changed. On the anniversary of Crimea's referendum for independence from Ukraine and request to become a part of Russia, Natalia Poklonskaya, who famously ran the prosecutor's office in that turbulent time told RIA Novosti in an interview about her views on the events and what has changed since then. Natalia, how did the Crimean Spring begin? The starting point of the events was the heroism of soldiers of the Crimean "Berkut" [Ukrainian police special forces], who stood as a human shield on the Maidan, facing bullets and Molotov cocktails. They made the Crimean people to believe in themselves, straighten their shoulders and repel fascism, which was spreading rapidly across the country. Berkut is a symbol of the unbroken Crimean spirit, as they remained true to their principles to the end, and stood with the Crimean people at a difficult time. Prosecutor of Crimea Natalia Poklonskaya in her office in Simferopol. Do you keep anything as a memento of those times? My Ukrainian prosecutor's uniform, in which I was presented as the republic's prosecutor by Crimean government head Sergey Aksyonov. Back then, there was no time to be afraid. Those afraid of wolves do go not into the woods. We do our job, carry out our duty, protect out homeland, so let them fear us. Has Crimea gotten closer to international recognition over the past two years? Crimea and Hero City Sevastopol have always been Russian. They have long been recognized, but some are shy to say this out loud. Hundreds of foreign delegations and missions visited the peninsula after reunification with Russia. If they're coming, it means they recognize it. There are repeated proposals, including from the West to hold a second referendum. Do you allow for that possibility? Crimeans have made their choice, they said "We are Russia." Therefore, there is no necessity to prove this a second time. We could carry out the referendum for a second time, a third, and again the West would not like the result, as Crimeans would again unconditionally choose their paternal home, Russia. Where is the guarantee that someone will recognize the results of such a referendum? Poklonskaya also talked about how her job had changed in the two years since Ukraine left Crimea, a phrase used by some locals to describe that period of the republic's history. How has work of the Crimean prosecutor's office changed over the past two years? We received colossal powers for monitoring compliance with federal legislation when it comes to protection of small and medium-sized businesses. We can participate in the lawmaking life of the republic, introducing bills to the parliament. Special units have shown themselves combating extremism and terrorism. They operate at full power, it can be said, 200 percent. How is the crime situation? Crime has not grown over the past two years. With regard to serious and very serious crimes, there is actually a decrease. However, in the summer, there is an increase in the number of thefts and robberies in resort towns, mainly due to the "touring" criminals coming from Ukraine, as well as other Russian regions. Frequently, it is the theft of purses and break-ins into cars. How do you fight "werewolves in epaulets" [Russian equivalent of "dirty cops"]? We ask the courts for stricter punishments. Demands are several times stronger for those who guard the law. In the past year, we prosecuted 29 law enforcement officers on suspicion of committing a number of crimes, including corruption. 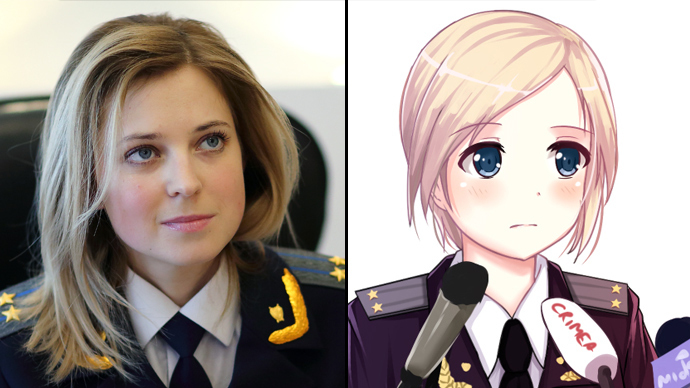 Prosecutor General of the Russian Federation, Yuri Chaika, hands the Russian Prosecutor’s office ID card to acting Prosecutor of Crimea, Natalia Poklonskaya. 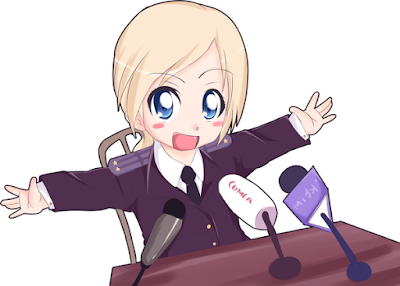 Poklonskaya has a personal attachment to Crimean reunification, which happened to occur on her birthday. Your birthday, March 18, coincided with the reunification of Crimea with Russia. How do you feel about that? For me, it's happiness and pride. Not only was my dream fulfilled and we returned home, and live in a wonderful, most magnificent and best country, a great power, in Russia, but it happened on my birthday at that. Of course, I'm the happiest person. It's impossible to put these feelings into words. Are you given memorable gifts? I get cards with kind words, poems, flowers from different places, not only in Russia. Once, I received a delivery of a huge bouquet of 200 roses that was impossible to even grasp. I forbade people to give me gifts, only [religious] icons and flowers. How did you tell when a person is lying and when they are telling the truth? My experience as a prosecutor helps me. It allows me to look at people like an open book, but I will not reveal that secret, so that no one happens to think that they can now fool me [smiles].